Are Denim Skirts A Thing? So, the first time I ever casually wore a skirt was in the 9th grade and it wasn't voluntarily. I say casually because every Jamaican school girl knows the uniform woes of skirts and tunics until you get to University life. I've never been a fan of skirts and barely know how to sit in them properly so give me a pair of denims or trousers and let's call it a day. I'm a simple girl and for me to feel the most like myself, my outfit has to be the perfect marriage of chic and comfort. My formula has always been: pants + button down + complementary nice shoes = easy. Living in Paris however complicated things just a bit and made me realize that even the easy going Parisienne changes it up once in a while. 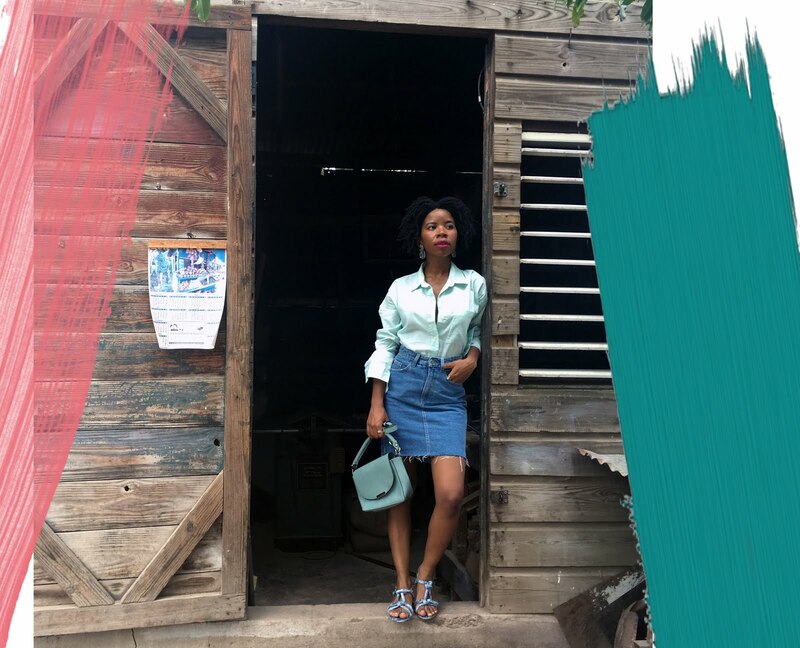 I decided to remix my go-to formula and pair an Old Navy button down with a H&M denim skirt instead of jeans for a fool proof casual look. The H&M velvet sandals was an attempt to add a little finesse. These cactus earrings from Mango have been itching for a debut so I added them too for the fun of it. 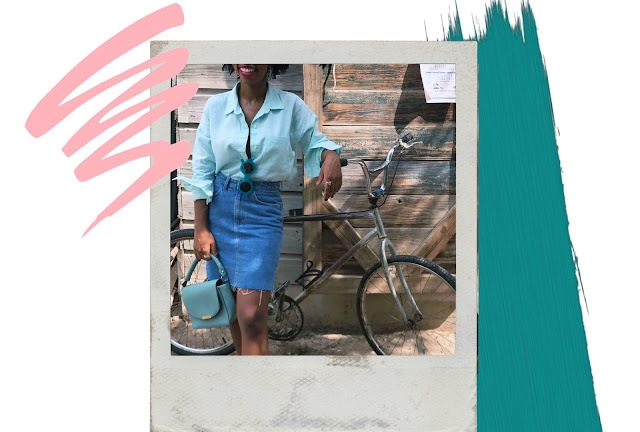 When styling a denim skirt, I realized it's pretty easy to miss so whatever you choose, be smart about the silhouette. Anything that is cinched at the waist like a wrapped top or a blouse that is tucked in is recommended. Ive seen the cool fashion girls wear it with bell-sleeve blouses that look so GOOD! Personally, if I do wear this skirt again, it'll be with a Tshirt or a denim button down because, simple does it. So, what do you think? Are denim skirts a thing? Denim skirts are definitely a thing but I haven't been able to find one that I like. Great outfit. Are You Prepared To Budget Travel?